This book surveys healthy and diseased vascular systems in a multitude of model organisms and systems. It explores a plethora of functions, characteristics, and pathologies of the vascular system such as angiogenesis, fibroblast growth factor signaling, lymphangiogenesis, junctional signaling, the extracellular matrix, vascular permeability, leukocyte extravasation, axon guidance factors, the angiopoietin system, and chronic obstructive lung disease. Following a preface from leading researcher Dr. Holger Gerhardt, the text is divided into three sections- the first examining the development of the vascular system in a variety of contexts, the second delving into its homeostatic characteristics, and the third discussing its pathophysiologies. The sixteen chapters, which represent international clinical and research perspectives, highlight the importance of molecular and signaling pathways for translational basic science and clinical medicine. 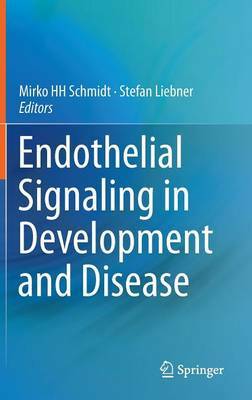 Additionally, the text explores new and exciting fields in vascular biology research. Comprehensive in both content and approach, Vascular Signaling in Health and Disease is ideal for graduate students, researchers, and clinicians interested in vascular biology, pneumology, and molecular biology.